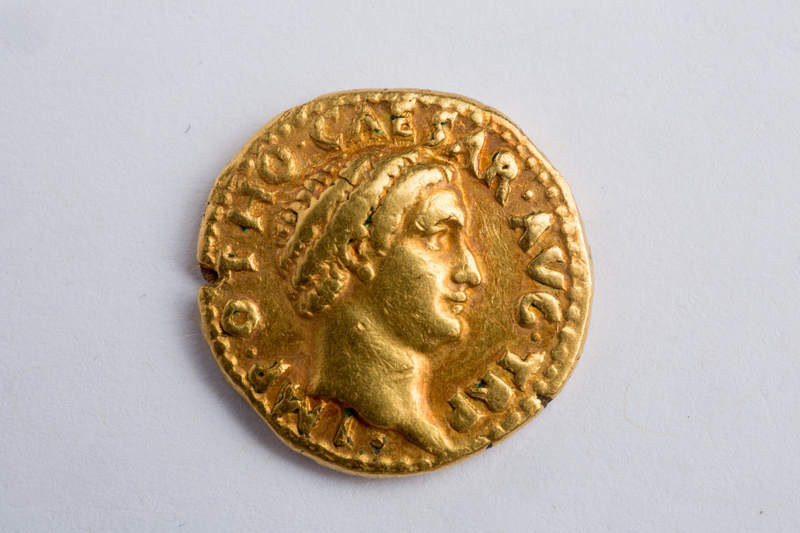 This is an image of a “remarkably rare” gold coin from very short reign of the Roman Emperor Otho, who ruled for only three months in the year 69. It is part of a collection of Ancient Roman and Greek coins recently re-discovered in the Library of the University at Buffalo. As my dear readers already know, I’m putting the finishing touches on a game called LXIX: The Year of Four Emperors. For those of you who don’t know, LXIX is 69 in Roman numerals. Otho is one of the titular Four Emperors in my game! It gives me a real thrill to see this tiny piece of history surface while I’m working on a game about the very period in which it was minted. Just imagine! A Roman general seizes the throne in one of Rome’s most turbulent years, but only manages to hold onto power for three months before sacrificing his own life to save Rome from a terrible civil war. Yet this tiny coin, minted in the brief time Otho ruled as emperor, survived for more than nineteen centuries to end up tucked away in a case, deep in the archives of a library in Buffalo, New York, hidden away and forgotten until a curious assistant professor of classics chased down a rumor and brought it to light. Wow! Just seeing his noble face peering out from the centuries gives me chills.